I imagine Cronos Group (NASDAQ:CRON) management is rather surprised at the moment. Cronos executed a potentially transformative deal with tobacco giant Altria (NYSE:MO). And yet CRON stock has pulled back steadily since the announcement. Indeed, I’m somewhat surprised by the reaction, in terms of both Cronos stock and pot stocks on the whole. As rumors of a deal flew earlier this month, I wrote that an executed agreement would be transformative for CRON stock, and the industry. A second major investment — after Constellation Brands (NYSE:STZ, NYSE:STZ.B) pumped $4 billion into Canopy Growth (NYSE:CGC) — seems to validate the marijuana opportunity for good. 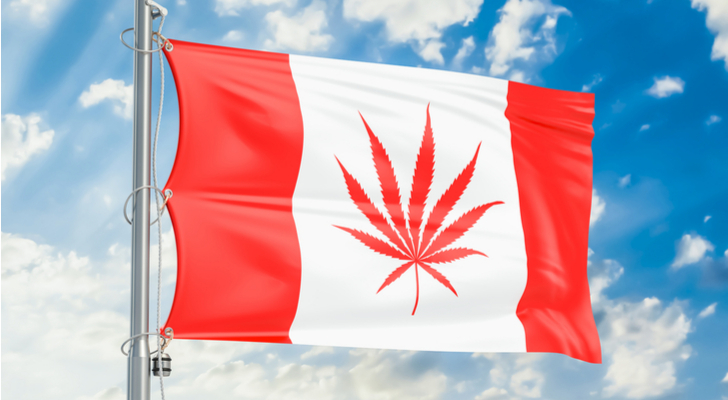 It opens the door for other major consumer companies, maybe Anheuser Busch InBev (NYSE:BUD) or Diageo (NYSE:DEO), to go after an Aurora Cannabis (NYSE:ACB) or a Tilray (NASDAQ:TLRY). The deal itself seems like everything investors could have hoped for. And yet those same investors have shrugged. MO stock is at its lowest levels in almost three years. CRON stock is giving back some of its gains. Other pot stocks are falling. The deal itself suggests potential long-term upside for CRON. The reaction to the deal, however, suggests investors may need to be patient and trade carefully. Fundamentally, the deal looks attractive for Cronos. The structure of Altria’s investment echoes that of Constellation into Canopy Growth. Altria is acquiring a 45% stake, with warrants that could push its ownership to 55%. It’s paying a premium to the recent average price: Altria is paying C$16.25 (US$12.15 at current exchange rates) for its shares. With CRON stock trading at $11.60, then, investors now can get roughly the same deal Altria did. Altria’s warrants (exercisable for four years at C$19, or US$14.20) have some value and so does its control of the board. Its US$12+ per share price, then, on an effective basis, probably is slightly lower than CRON’s current trading price, but it’s close. Again, the Constellation-Canopy and Altria-Cronos deals were very similar in structure. Constellation’s initial stake was 38%, but it, too, received warrants at an above-market price that promised 50%+ control. Both Altria and Constellation paid a premium to average prices, which not always the case when large stakes are sold to raise cash for growth. The reactions, however, have been notably different. CGC stock jumped 30% on the Constellation news, and it kept rising. It would climb another 80% in a few weeks even after the post-announcement jump. CRON, however, has gone the other way. Rumors of the Altria deal admittedly moved Cronos stock higher before the deal was announced. But investors have sold the news, and not for the first time. As Luke Lango predicted, the same reaction played out when marijuana legalization officially arrived in October. Pot stocks across the board slid, and many haven’t stopped. Indeed, it’s worth noting that Canopy Growth stock has given back nearly all of its post-Constellation gains. It’s not hard to get the sense that the market is perhaps a little impatient with pot stocks right now. Those traders who capitalized early on the wave, and got used to big gains in a matter of weeks and months, may not be interested in growth stories that now have to take years to play out. And it suggests that the sector — including Cronos stock — may see some volatility going forward, and perhaps more pullbacks given how long it will take any of the companies to get anywhere close to scale. From a long-term standpoint, however, CRON stock does look much more attractive in the wake of the deal. It has some $2 billion to invest in R&D, growing capacity and M&A. Altria is a smart partner: as discussed on the post-acquisition conference call, its experience with branding, production and regulatory compliance (notably with the U.S. Food and Drug Administration) can be hugely valuable to Cronos. And this is a strategic deal. It’s not — as I fretted it might be — just Altria taking a small stake in CRON stock to hedge against further declines in tobacco use. The two companies aim to be partners, and it’s hard to see a better partner for Cronos than Altria. The deal itself is a validation of Cronos management as well. Altria could have invested in a different marijuana producer. The fact that it didn’t, and that it spent a material $2 billion on Cronos, is a sign of real confidence. Admittedly, CRON stock has rallied already (it’s still up about 80% from late October lows). But the long-term bull case here is pretty simple at the moment. In an industry whose outlook remains cloudy, and whose competitive situation will take years to play out, investors can buy Cronos stock for about the same price Altria did. Is that a good thing? Time will tell. STZ stock has sold off steadily since its Canopy investment (though other factors are at play). The Street has turned negative on the deal, as James Brumley pointed out. If similar sentiment greets Altria’s move, CRON stock will pull back. And that does seem at least possible, even if the deal makes Cronos a more likely long-term winner. Article printed from InvestorPlace Media, https://investorplace.com/2018/12/cronos-stock-should-be-a-buy-just-not-yet/.